Your heels are the first point of contact and impact with each step you take—whether you’re taking a leisurely stroll or are out for an intense run. Unsurprisingly, the heel is one of the most common locations for foot pain for people of all ages and activity levels. When your heels are hurting, one of the first things we look at is the footwear you’re using. While heel pain can have many different causes, often a change in shoes—or introducing added support or cushioning via a custom orthotic—can bring about a drastic improvement in your symptoms. Feet come in many different shapes and structures and respond differently to pressure. 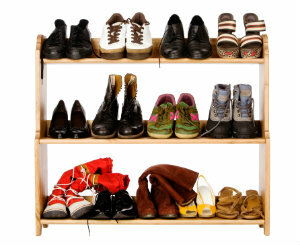 A shoe that fits one person perfectly might be a horrible fit for someone else, even if the “size” seems to be correct. You can also run into problems if you’re wearing the wrong shoe for your activity, or if your shoes have worn down with use and aren’t offering the support you need. If you have more serious structural issues with your feet (such as flat arches or a severe overpronation) and new shoes alone aren’t providing the necessary pain relief, custom orthotics can offer a great solution. We carefully measure your feet, then create fully customized orthotic devices to fit your feet precisely. Orthotics can be made in a wide variety of styles and from a wide variety of materials, so they provide exactly what you need to improve or accommodate biomechanical function and relieve your heel discomfort. Depending on your symptoms and needs, you might have a pair of orthotics for everyday living, or ones especially for athletic activity. When your feet are hurting, sometimes a switch in what you’re putting on your feet—or inside your shoes—can provide all the help you really need. To learn more or to schedule an appointment and evaluation with Absolute Foot Care Specialists at either of our Las Vegas, NV podiatry offices, drop us a line via our contact form, or call us at (702) 839-2010.